Engagement rings have been in use since the Middle Ages, really! Today, exchanging engagement rings is a necessary tradition in almost all parts of the world, regardless of the customers, religions or creeds people follow. Since engagement rings are to be worn for several decades at a stretch and they mark one of the most important events in the life of a person, they are often expensive and therefore, handling them with great care is important. While picking up the diamond engagement rings, make it certain that you pick them up by their band and not by the centrally placed diamond. Generally, people follow the latter and this leads to appearance of greases on the surface of the diamond. This practice can also shift the diamond from its position over a period of time. As mentioned above, scratches develop on diamond’s surface due to mishandling. Not only do these scratches look ugly, they also reduce the intrinsic value of the valuable stone (and ring). The good news is – it’s possible to undo the damage done. If your diamond engagement ring is made up of the gold, a softer metal in comparison to platinum, repairing scratches is even easier. A specialist jeweler can do the needful. Due to the hard nature of a diamond stone, the rings made up of diamonds can easily scratch other jewelry items in your collection. Make sure you store diamond rings in a separate box. On a given day, there are numerous occasions when different kinds of chemicals, creams and substances come in contact with your diamond engagement ring. For instance, while you’re washing off your hands, soaps can come in contact with the diamond metal and lead to some chemical changes, affecting its luster and shine over a period of time. It’s a good idea to take off your engagement ring when you’re handling chemicals and other substances. Over exposure of a diamond engagement ring to heat can cause cracks (in some cases) or affect the surface sheen. Therefore, you should avoid placing diamond rings in places close to heaters, gas stoves and other appliances that generate heat. 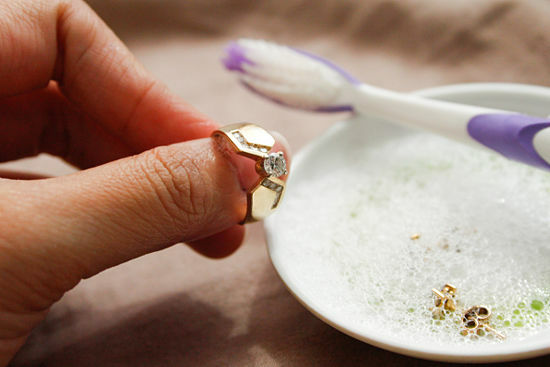 Also, if you want to clean your ring make sure the water you are using is lukewarm and the detergents (preferably liquid in nature) mild in nature. With the passage of time, diamond engagement ring setting is likely to loosen up. Voids at some places can shelter dirt and the even the diamond can come off completely. If you’ve been wearing a ring for many years now, it’s a good idea to have a specialist jeweler take a look at it and fix the engagement ring setting. 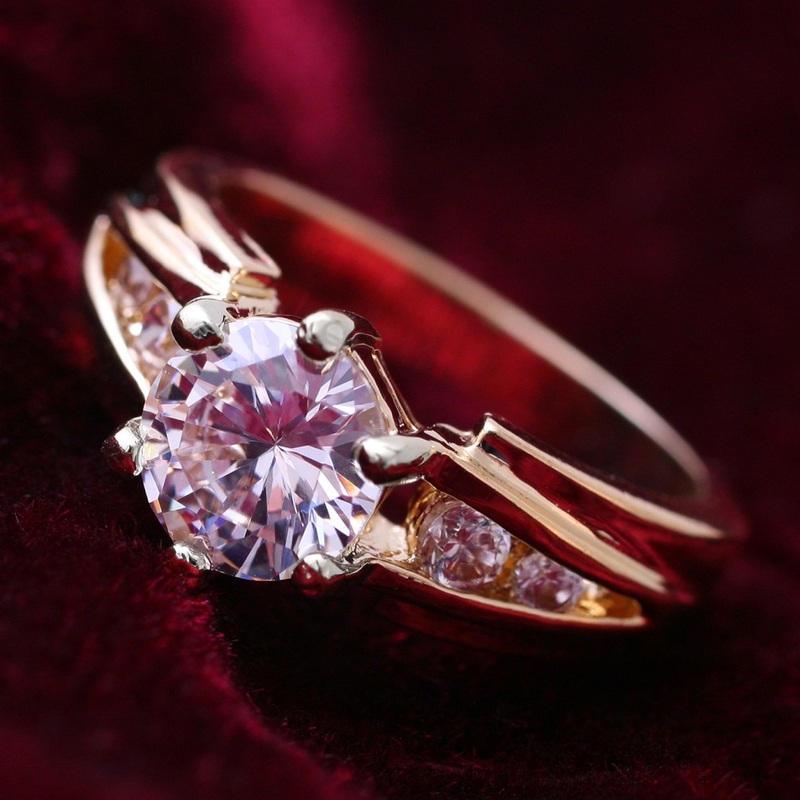 If you’re looking to buy a diamond ring for yourself or someone else, you should check out collection of diamond rings!